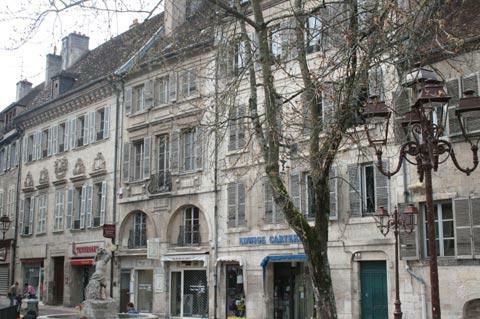 The town of Dole is found in the Jura department, in the Burgundy-Franche-Comté region of eastern France, between Dijon and Besancon on the Doubs River. 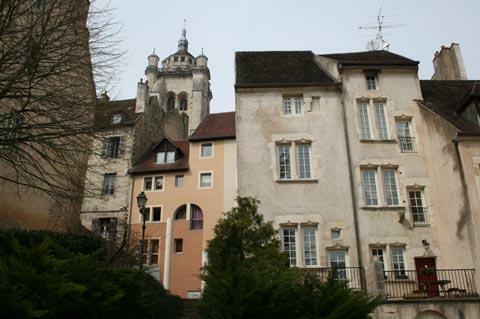 A small town that merits a wander, Dole was the nerve-centre of Franche-Comte until 1422, when the power was transferred to Besançon. 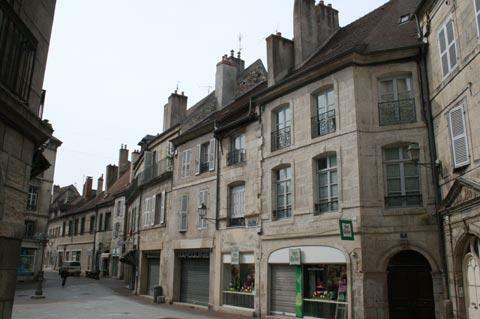 France This Way comment: in recent years the town centre of Dole has been substantially improved and if you have not visitd for a few years we suggest you return! It is the old town that is of interest to visitors, although we suggest you start a visit a little way from the collegiale and the town centre - on the other side of the river! 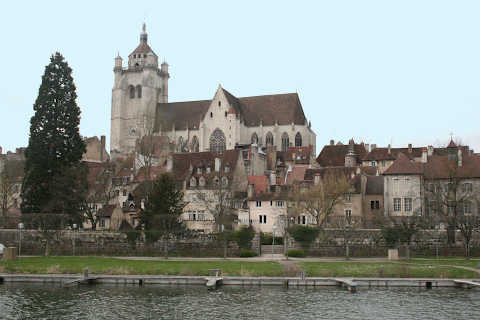 The best view of the Collegiale Notre-Dame is from between the canal and the river below Dole, looking across the town and rooftops. From here, continue to Dole tourist office at 6 Place Jules Grévy to ask for a map of the town and a route to follow as you explore. 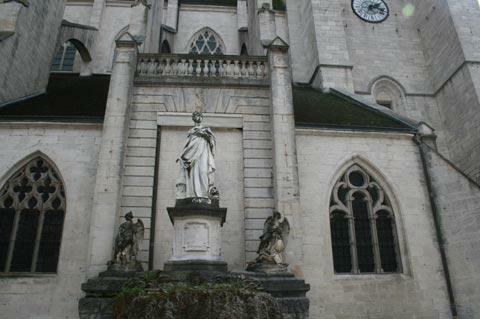 The Collegiale-Notre-Dame is much the most important monument in Dole. 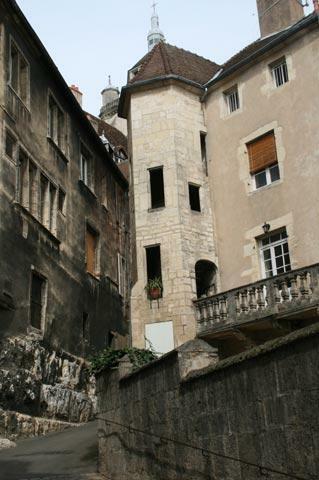 It is found in the centre of the old town, and also dominates the skyline. 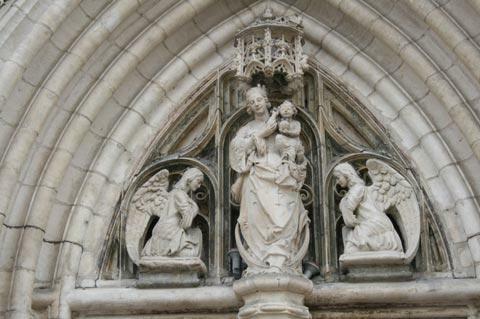 Dating from the medieval period when Dole was the most important local centre (from 1386 - 1676), the building was constructed in gothic style over the course of much of the 16th century (1509 - 1586). 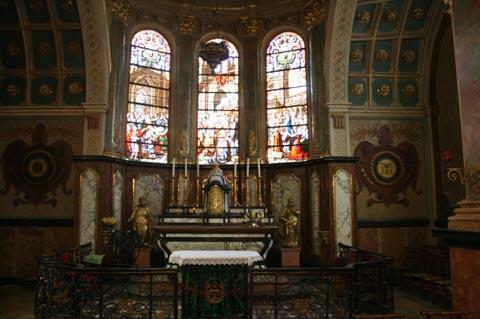 The collegiale has several notable highlights to discover. 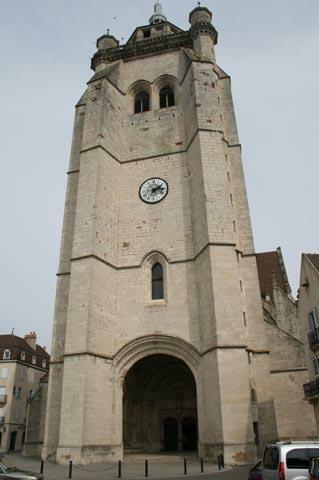 On the outside, it is the large belltower that you will notice first, and there also are a couple of entranceways of note, in particular the decorative western entrance added in 1565. 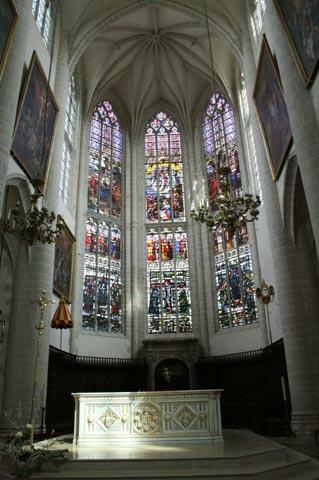 The greatest highlight inside Dole collegiale is just to the right of the altar - the Sainte Chapelle du Miracle de Faverney. Built in the early 17th century to house a relic that was miraculously saved from a fire at Faverney Abbey, the chapel is richly decorated in the renaissance style under a vaulted roof. 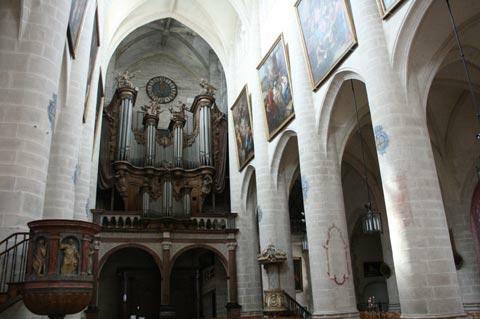 Also inside Dole Collegiale-Notre-Dame, as well as the main church itself, you can admire the substantial 18th century organ, and some decorative articles of the renaissance style. 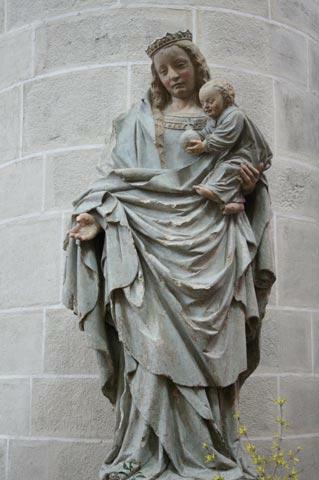 There are a great deal of stained glass windows (added 1840 - 1950 to replace missing original windows), while another highlight is the statue of the 'Virgin with Child'. Note: Louis Pasteur was baptised here in 1823. 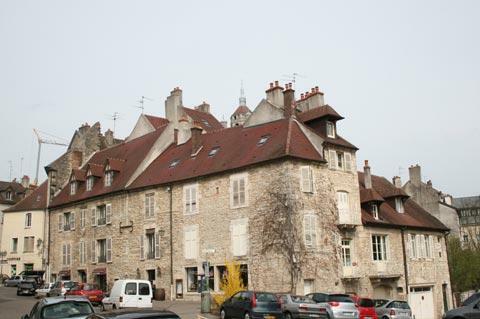 The narrow streets of the old town in Dole, clustered around the Collegiale Notre Dame de Dole, contain many attractive houses dating from the middle ages onwards, and numerous shops and cafes, and it is a pleasant town to explore. Among the most notable buildings are the Hôtel de Froissard on Rue Mont-Roland with an impressive facade and entrance and the imposing Hôtel-Dieu (ancient hospital) next to the Canal des Tanneurs on rue Bausonnet: both of these buildings date from the 17th century. After exploring the streets around the collegiale you can continue to explore the part of the town along the canal, known as Little Venice. 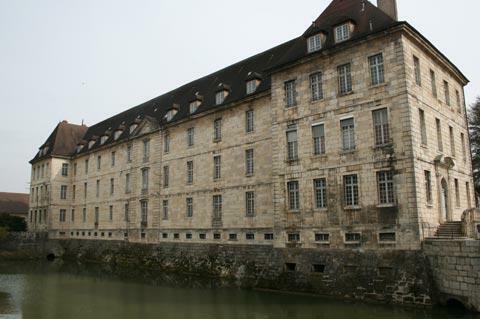 Louis Pasteur was born in Dole, and there is an informative museum about his works in the house where he was born near the canal. 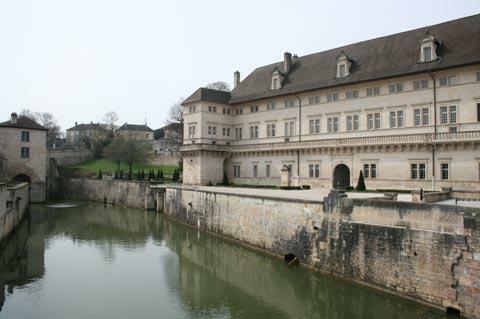 Another important museum in Dole is the Museum of Fine Arts and Archaeology, established 200 yers ago and now situated in an imposing 17th century building that was once the officers accommodation for Dole chateau. In the museu you can see a wide range of paintings and sculptues, mostly 19th century. To the east of Dole there is a very large mixed deciduous forest, mostly oak, called the Chaux Forest, where you will find a wide range of walking and picnic possibilities. 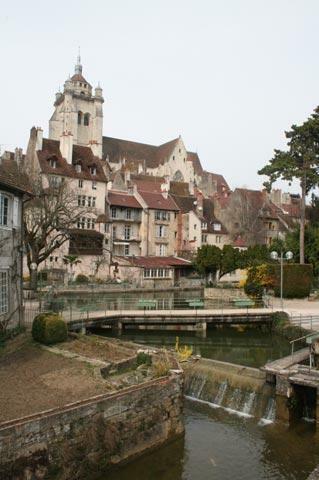 To the north of the town we recommend a visit to the pretty village of Pesmes.